You are only $200 away from FREE SHIPPING. The order usually ships out to customer same order day. - The international shipping takes time much longer than domestic shipping. COPYRIGHT(c) 2003-2016. 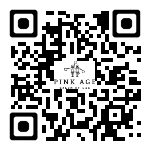 PINK AGE CO. ALL RIGHTS RESERVED.